Griffin Technology, a top company that is known for innovative accessories for personal computing and digital media, shows an awesome little device that doesn’t just look beautiful, but also allows you to use it for almost anything for media production or consumption. If you’re familiar with Griffin, you might already know about the PowerMate that they had. 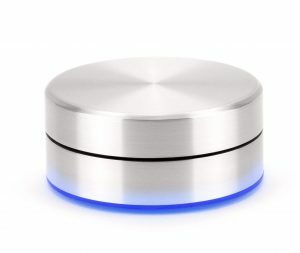 It’s a Bluetooth device that can be connected to a computer via USB and can be used for multiple purposes. Recently, Griffin unveiled a new wireless version of the PowerMate Bluetooth, which supports Bluetooth 4.0. Currently, the wireless PowerMate Bluetooth is compatible with Mac laptop or desktop that supports Bluetooth 4.0 protocol. It has a power requirement of two (2) AAA batteries included, but you shouldn’t have to change the batteries more than you would an Apple wireless mouse. Essentially, the PowerMate is a programmable USB controller. There are six actions or movements that it can do; rotate it left to right, click on it once, click and hold, click and hold then rotate it right and left. Each one of these actions, you can assign to a particular keyboard function in all of your favorite programs. 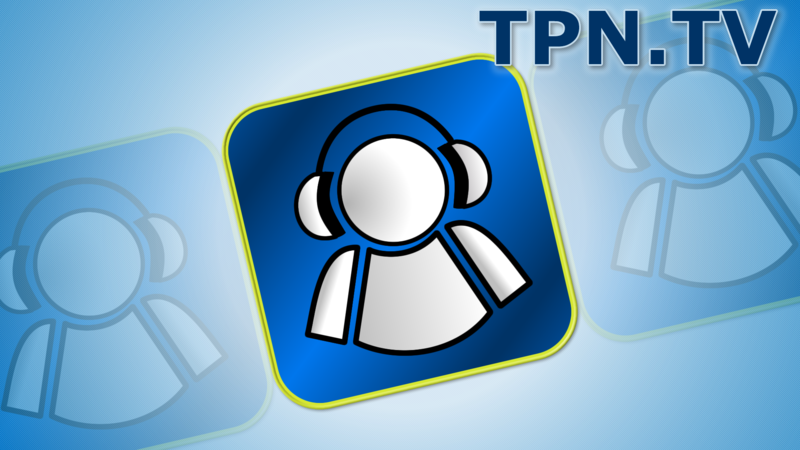 The program is fairly intuitive and one of the software that you would be getting with your PowerMate is a program where you can connect a multiple PowerMates at a time to a single computer. Through this software, you can set several commands in just a few clicks. Unlike with the old PowerMate, the new PowerMate’s sensitivity can be adjusted so you can be as minute or as big as you want to be. No matter what you want to set it to—zoom in, zoom out, brush size adjustments — everything can be done easily by setting it up using the new PowerMate. If you want to have your own PowerMate Bluetooth, you can get it for only $59.99. Griffin Technology’s PowerMate Bluetooth will be available starting Summer of this year. Learn more information about this wireless programmable controller at GriffinTechnology.com. Interview by Daniel J. Lewis from The Audacity to Podcast. At CES 2014, Western Digital, one of the world’s leading storage solutions provider, presented an external hard drive that allows you to save everything AND access it anytime, anywhere. Also known as the My Cloud, this new external hard drive by Western Digital is more than just an external hard drive. It is an external hard drive that allows you to save all your content and access it anywhere. Whether you’re on your home or on the road, you can access all of your data on your My Cloud from your PC, Mac, tablet or smartphone anytime you want to. With My Cloud, you can store anything — photos, documents, videos, music — in one secure place on your home network. What makes MyCloud different from other external hard drives available out there? With MyCloud, you don’t have to take it with you just so you can access it. You don’t even have to plug it in your gadget to access your files. My Cloud is like a mini computer; it has an operating system and a processor that you can simply plug into your router even without connecting to your computer. Through 3G, 4G, or WiFi connections, you can access all of your files 24/7 no matter how far you are from the external hard drive itself. Using Western Digital’s My Cloud Mobile App and Desktop App, you can remotely access all of your contents from any device. Plus, it doesn’t matter whether you’re using a Mac or PC; no need to format your files! It just knows what you’re on, making it easier to use it especially when you’re using iOS, Android and Windows. Western Digital’s My Cloud personal cloud storage comes in three different models — 2 TB, 3 TB, and 4TB. They also have the EX4, which is more suitable for professionals, which has a capacity 0TB-16TB. The EX4 also have advanced features and RAID 5 capabilities that will be perfect for group management. The EX4 comes in non-populated version — where you can build your own drives — and populated version, which comes in 8 TB, 12 TB and 16 TB. With the populated version, you can simply turn it on, not do anything with it and access your files remotely. It also comes in several advanced features, as well as advanced backup, energy-saving features, and advanced apps, to name a few. As for the pricing, Western Digital’s 2 TB My Cloud is available at only $149, 3 TB at $179, and $219 for the 4 TB My Cloud. In addition, these external hard drives have USB expansion ports; should ran out of content, simply plug in a My Passport or My Book type of drive and expand the storage on the drive. The My Cloud EX4, on the other hand, starts at $349 for the non-populated version and up to $1149 for the 16 TB drives. Visit WD.com to learn more about the My Cloud and EX4 and its individual features. Looking for LED light panels that you can adjust according to your preference? GiSTEQ presents a photo/video lighting solution with adjustable spread and color temperature LED light panels at the recently concluded CES 2014. Unlike any other light panels, GiSTEQ’s LED light panels allow you not only to adjust the intensity of the light, it’s also a little different. The Flashmate F-198C lets you go from daylight balance to tungsten balance without a filter. So if you are an event photographer, you don’t have to worry about the lighting in the reception because you can easily match the lighting through the LED light panel. This also works for podcasters who records at different times of the day. 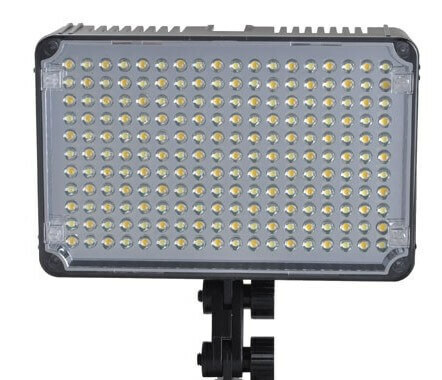 Whether you’re shooting at night and needs a good lighting or during the day and needs a good lighting to balance the sun, GiSTEQ’s LED light panel will be a great addition that will help make your podcast better. If you want your subject to stand out from the background and wanted a hair light, GiSTEQ’s Flashmate F-198A allows you to adjust your spread from a spot to a wide by simply adjusting the dial. This gives you more control of the light regardless of the condition of the natural lighting in your surroundings. The color control model, Flashmate F-198C is available at $179. The light angle model, Flashmate F-198A however, is being sold at $149. Each model has 200 LED lights with about 5 mm of round soft-light LEDs. For more information about these LED lights that allows you to adjust the color temperature and address the spread of the light, visit GiSTEQ now. Belkin's QODE Ultimate Keyboard Case for iPad Mini and iPad Air is ULTIMATE! Belkin, one of the world’s top technology company for nearly 30 years, shared the ultimate keyboard case for iPad Mini and iPad Air at CES 2014. Also known as the QODE Ultimate Keyboard Case, the new Belkin keyboard case is especially designed for iPad Air. It is a fully-protective case that protects your iPad from all angles and sides; it has three magnetically secure viewing angles so that you can tap your iPad all day long and not having to worry about it falling over. It also allows you to adjust your iPad at a multiple angles, making the viewing angles even more secure and giving you a comfortable typing experience no matter where you’re at. The battery life on this new keyboard case is 220+ hours of type time but idle, it can last up to six months. Besides the adjustable angle, Belkin’s QODE Ultimate Keyboard Case also has an auto wake magnet, which turns your iPad off or on when you close or opens your iPad. It’s also a Bluetooth keyboard so it automatically syncs when you open it and prop the iPad up. No more On-Off switch button just so you can start typing up! When you’re ready to type, simply open your keyboard case and you’re good to go. Belkin’s QODE Ultimate Keyboard Case offers the best typing experience. The keys are well-spaced and responsive, giving you a natural typing experience as you would on your laptop or PC. It’s also lightweight; even lighter than the iPad itself. Don’t want to use the keyboard? No need to pull your iPad out. All you have to do is fold it up and use it as you would normally use an iPad and not having to worry about unexpectedly typing anything as you’re playing with your iPad. Belkin’s QODE Ultimate Keyboard Case comes in two colors—black and silver white—and currently retails for $129.99. Learn more from Belkin. 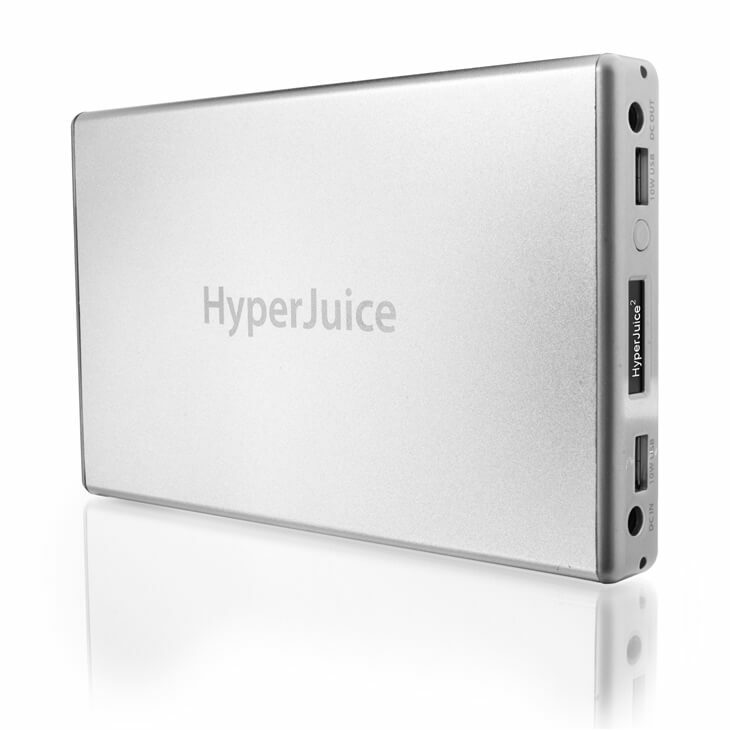 At the recent CES 2014, Hyper Juice presented an affordable battery pack system that can serve as backup for your Macbook. Hyper Juice Macbook batteries come in four different capacities, beginning with the 60Wh, which allows you to charge your Mackbook for up to 14 hours. Not only can you use it to charge your Macbook, you can also use it to charge your iPhone, a tablet, or any USB-powered device. They also have the HyperJuice 100Wh, which gives your Macbook an additional 24-hour charging time, and up to 18x for your iPhone. The 150Wh HyperJuice battery, on the other hand, has the ability to provide an additional of up to 36 hours of charging time for your Macbook and iPhone for about 27x. Lastly, the 222Wh Macbook battery pack is a 61,000mAh that provides an additional 53-hour charging time for your Mackbook, and 40 hours for iPhone. If you’re a professional that produces audio and video podcasts that need extra hours from their Macbook, these battery backup from HyperJuice will be a perfect addition to your gadgets. Using the Magic Box kit, a little adapter where you can modify your existing MagSafe Power Adapter, all you have to do is connect it to your Macbook to create a connection. This will enable your Macbook to charge your internal battery instantly. So when you need extra juice, all you need to do is connect it to the HyperJuice battery and it will instantly recharge your computer or iPhone. Each Magic Box is sold in three different options. One is the battery by itself, the Magic Box Do-It-Yourself kit, and the pre-modified MagSafe Power Adapter, wherein the Magic Box will do the modification for you. Furthermore, there’s also the HyperJuice 2, which a 100Wh that has an OLED screen as well as the ability to interchange the internal battery at a later time. So if in two or three years your battery starts to dissipate and you want to have the most up-to-date battery, all you need to do is contact them and they will help you do that. As for its prices, the 60Wh HyperJuice external battery starts at $169.95, $249.95 for the 100Wh,$349.95 for the 150Wh, and HyperJuice External Battery 222Wh for iPad/iPad 2 & MacBooks (MBP-222). The HyperJuice 2, however, can be bought at only $299.95, Magic Box not included. Learn more about the HyperJuice line from Hyper’s website. Remotely control your digital SLR using Hyper’s iUSBportCamera. Whether you’re using a Canon or Nikon DSLR, the iUSBportCamera will turn your DSLR into a wireless digital SLR. Essentially a router, the iUSBport Camera includes the battery, USB port, and some sophisticated software that allows you to communicate wirelessly with your DSLR camera. Simply plug it in your DSLR camera and because it is a router, it makes its own WiFi network. Take your tablet or smartphone, connect to the USBportCamera’s network, then open Hyper’s free app, which is available for both Android and iOS devices. Once you haveopened the app, you can see the screen with multiple options, one of which is being able to control the camera. At the touch of the screen on either your smartphone or tablet, you can adjust the autofocus, change the focus, move and adjust the HDR, adjust the white balance, set the ISO, switch from video to photo, and preview photos, among others. One of the greatest things about Hyper’s iUSBportCamera is that you can preview the photo or video that you are taking while you’re taking the shots. 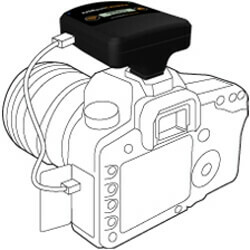 Hyper’s iUSBportCamera can be used in most Canon and Nikon DSLR cameras. The iUSBportCamera is offers 5 MBps transfer rate and allows up to twelve devices that can connect to it at any given time. It also comes in two different models—iUSBportCamera and iUSBportCamera 2. The only difference is that iUSBportCamera 2 can be mounted however you want, but primarily vertically compared to its predecessor, which can only be mounted horizontally. In addition, iUSBportCamera 2 has two USB ports, whereas the iUSBport Camera only has one. Aside from being able to use it on a DLSR, you can simply connect any USB storage device to the iUSBportCamera 2, turning it into a wireless storage device. This way, you and up to twelve of your friends (or other devices) can share videos and images with each other from this WiFi network. You can even connect it to an existing network that will allows you to expand its range. If you are a podcaster that is used to going back and forth just to check the focus of your DSLR camera when you’re about to do your podcast, the iUSBportCamera will save you time and energy. By just connecting it to your Android or iOS device, you can access it from your seat and change the settings whichever way you prefer without standing up. At just $199.95, you can already own Hyper’s iUSBportCamera, while the Hyper’s iUSBportCamera 2 is available at $299. You can find these two great devices at Hyper’s website, as well as in as Amazon and specialty photo shops. Learn more information about its specifications and the complete list of the devices compatible with these two products and see how it can help make your media streaming easier and better! IK Multimedia, a company staffed with talented musicians that was first known for their Abbey Road console, presents an awesome little device at CES 2014 that will allow you to connect your professional microphone to your iOS devices for a nice digital connection. First off, the iRig PRO—a digital interface of iOS devices and Mac that has three inputs; one for 1/4″, MIDI, and XLR so essentially, if you are a podcaster, you plug in your microphone and go directly into your iPhone, iPod Touch, iPad or your Mac and be able to record with it. IK has a different recording applications that you can use that will go well with iRig PRO one — the iRig Recorder, a digital audio support that comes in Free and Paid app, and VocalLive, which features 12 real-time professional voice effects. As long as your iOS device is running, all you have to do is plug your microphone into your device, run it through the iRig PRO, and do your podcast. You don’t even need to plug it in anywhere, and you can simply put your iOS device in your pocket and let the iRig PRO and the apps take its course. If you want to use your Mac instead of your iPhone, iPod Touch or iPad, you can connect your iRig PRO through your Mac through its USB port. Essentially, all you need is plug in your XLR for your microphone, turn on the phantom power and start using it on your device. With the iRig PRO, you can connect using the three different connectors available, depending on what your device is. In addition, iRig PRO also has a monitoring system that allows you to monitor to headphones or a live system such as the iLive. Plus, you don’t have to worry about having latency issues when using iRig PRO. If you are using an older iOS device with a 30-pin connector or an Android device that needs an analog connection instead of the digital, however, IK Multimedia offers the iRig PRE, which is an analog connection. What it does is take the output of your iOS or Android device and turn it into an Input-Ouput. The iRig PRE also has a monitoring, which allows you to go live out with its 8″ connection. On the top is the On/Off switch for your Phantom Power, which runs using a 9V battery. iRig PRE also comes with a handy Velcro piece so you can secure it to either your microphone, a microphone stand or any flat surface. Are you interested in these awesome little devices? 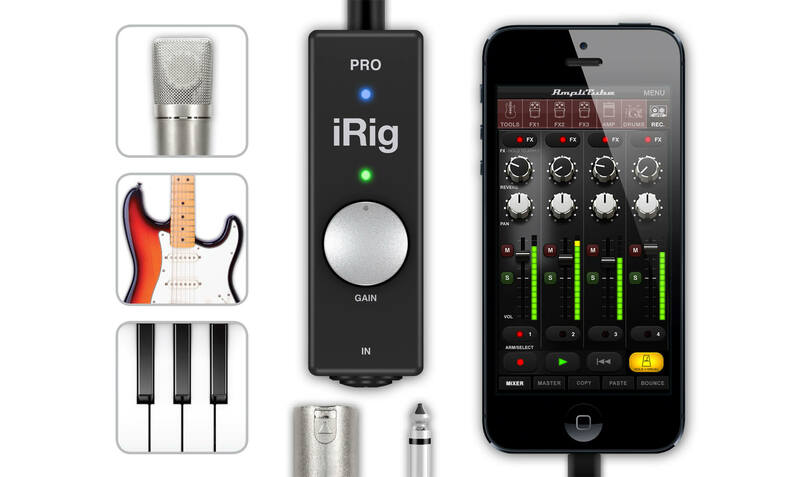 You can get them at just $39 for iRig PRE for iOS and Android Devices, and $149 for iRig PRO. Learn more about iRig PRE and iRig PRO from IK Multimedia. Nady Systems, Inc., a company that has been designing, manufacturing, and marketing wireless microphones since 1976 introduces two new microphones that will give you a new way of recording audio content. As part of their MGT wireless series, this miniature plug-in transmitter easily converts wired dynamic microphones to wireless. It is also lightweight compared to other plug-in transmitters, so you wouldn’t get tired holding your microphone because of its weight. If you are an active podcaster or video producer and you want to move around a lot, sometimes the level of your microphone doesn’t really work because you’re turning your head around and you have to take the microphone with you but that doesn’t work because your shirt stays in the same place. Fortunately, Nady now has a very affordable solution for active audio recording that works great in video, too. The Nady HM-35 is one of their HeadMic series that is a single-ear omni-directional condenser microphone. This particular lightweight microphone is perfect for aerobic instructors, dance school teachers and public speakers that are getting tired of in-ear microphones that they have to adjust regularly as they speak. The HM-35, on the other hand, stays in your ear and won’t have to keep adjusting it so you can simply focus on what you are going to say next. The D’link wireless adapter with the MGT micro receiver is being sold at a retail price of $329.95. 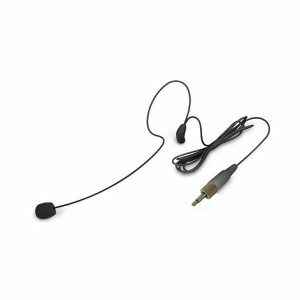 The HM-35 headset microphone, however, can be bought at only $59.95, which is of a great price compared to other single-ear microphones being sold elsewhere. Find out more about these new wireless and headset audio gears at Nady. Known as one of the leading innovators when it comes to video and photography products, VidPro recently launches new DSLR camera stabilization gears for all you photographers and videographers out there. Whether you’re a professional or simply just a hobbyist, VidPro’s video and photography equipment will take your shots into a different level. One of these is the Skater Dolly, which is a roller skate device where you can mount in your DSLR cameras or video camcorders. 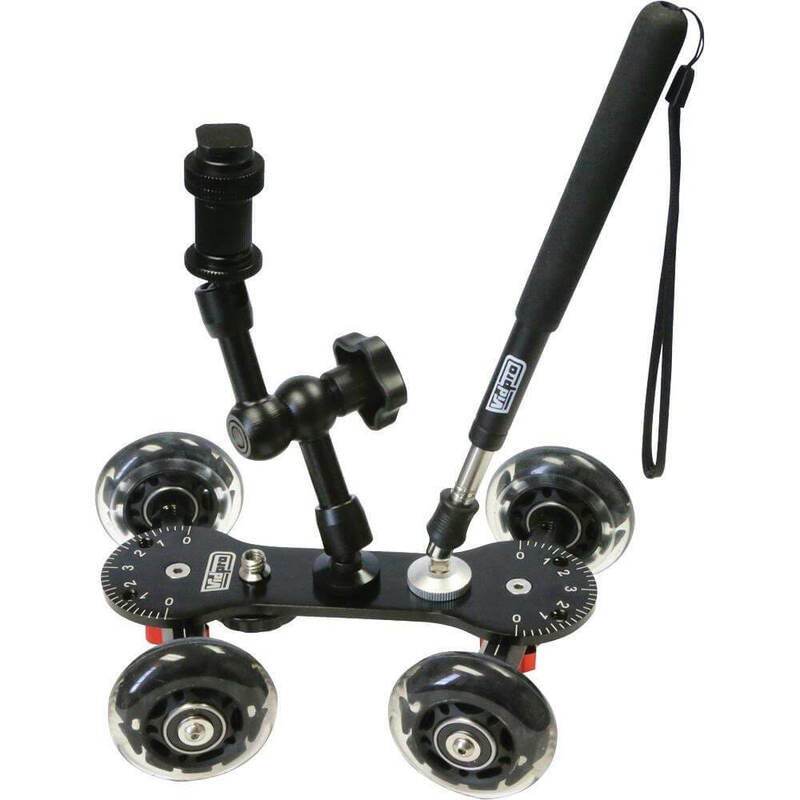 Currently available at Amazon at just $69.95, this VidPro DSLR and video camcorder gear comes with an articulating arm and extendable handle, enabling you to gain 360 redial and straight line dolly motion. Coming out this March, however, is the new VidPro camera slider dolly, wherein you put your DSLR camera or video camcorder into the slider and can simply slide it back and forth to the left or right for very smooth, cinematic motion. If you think that this slider dolly is too bulky, VidPro also offers another slider dolly, which is the video stabilizers. Sure, your DSLR cameras or video camcorders might have stabilization built in, but VidPro’s is handheld where you get a lot more stabilization as it has weights on the bottom. Short, small, and handy but provides more stabilization and smooth, cinematic shots. If you want to step it up, VidPro has a stabilization gear that has a bit more weight and a slightly different design and handle. Although it is heavier than the other two, this stabilizing gear has a handle that, no matter how or which direction you move your hand, the top where your camera or camcorders are would not move. They also have another that is much heavier with the same features, but gives more stabilization for more steady shots. Keep checking VidPro’s website to learn more about these awesome stabilization gears, including their pricing and its release. At the recently concluded CES2014, TASCAM, a company that has been developing products for the sound and music industry shows another of their latest product with great audio for your DSLR video—the TASCAM DR-60D. DSLR videos these days are really blowing up in terms of the continuous number of people shooting with it. However, audio is so important when it comes to video recording via DSLR camera. DSLRs are known to shoot exceptional videos but the audio is a little bit marginal; The new TASCAM DR-60D connects these two. With this dilemma in mind, TASCAM designed a product that allows you to record superb audio from your DSLR camera on an SD card up to 24bit/96kHz TASCAM DR-60D. The DR-60D is a 4-channel audio recorder with two XLR/TRS inputs support +4dBu line level input and phantom power (12 or 48VDC), and channels 3 or 4 access through a 3.5mm jack. DR-60D also has 3-4 channel inputs that support plug-in power and high-output mic input, making it great for a 4-channel audio. 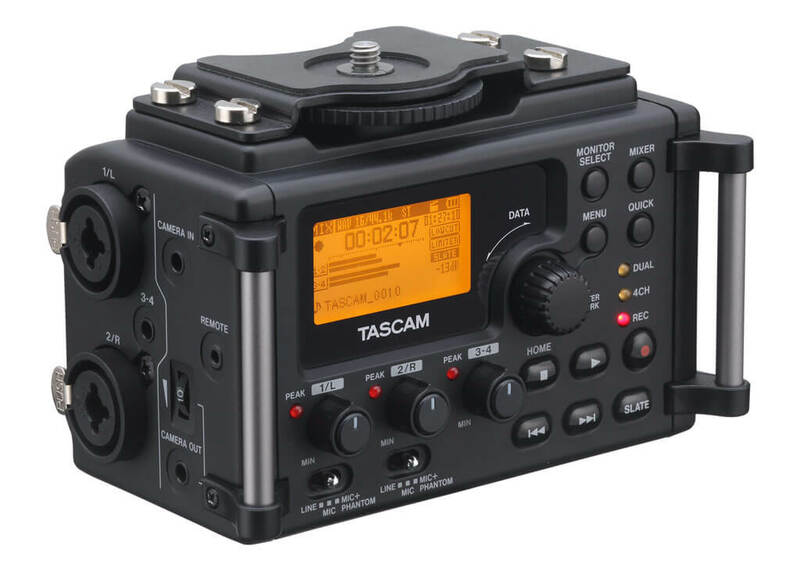 Another great component of the TASCAM DR-60D is that if you don’t need 4-channels, it will also do dual-recording, which allows two files to be recorded simultaneously at different levels. In addition, this dual-recording allows you to record your primary stereo track at a certain level and at the same time, record a safety track up to 12dB just in case you’re shooting something and all of a sudden there’s an unexpected loud noise that may distort your primary track. 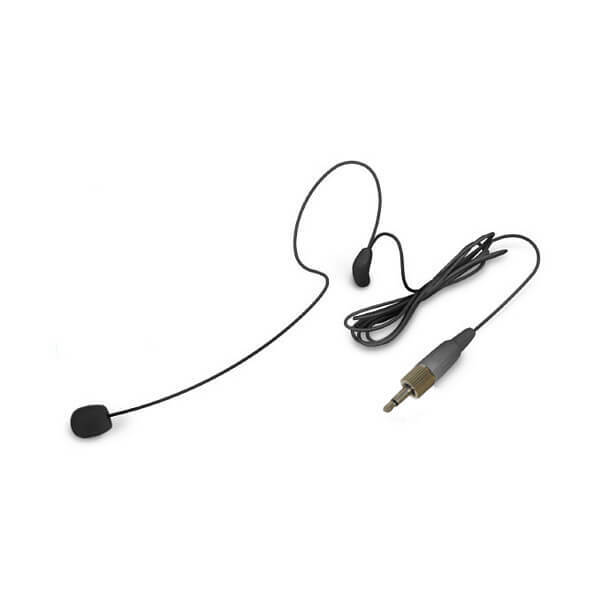 With this dual-recording, you can still have a safety track; no need to plug-in an extra microphone. One thing about the DR-60D is that you can simply mount in on your DSLR camera just like you do on a tripod and carry it with you as you shoot. Even though you’re recording your audio to your DR-60D, there’s an adjustable camera out connector so you can make sure that everything you record on your DR-60D will also be sent to your camera, making it easier to sync it up. There are times when you’re doing a special shoot where you have a microphone that are 50ft away and close-up microphones. The DR-60D has a feature where you can delay up to 150ms, one mic to another mic so you can take that time difference and correct that. As for its pricing, the TASCAM DR-60D is being sold at $349 and is sold in different places with their authorized dealers in-store and online. Learn more about the rest of TASCAM DR-60D’s features.